I stumbled upon this limited edition cassette while looking at vinyl on the Svart Records website – I was there to order a copy of their Witch Mountain – South of Salem LP reissue, which I will post a review of soon. I don’t normally go for cassettes, but when I saw the link to this recording, I knew I had to have it. 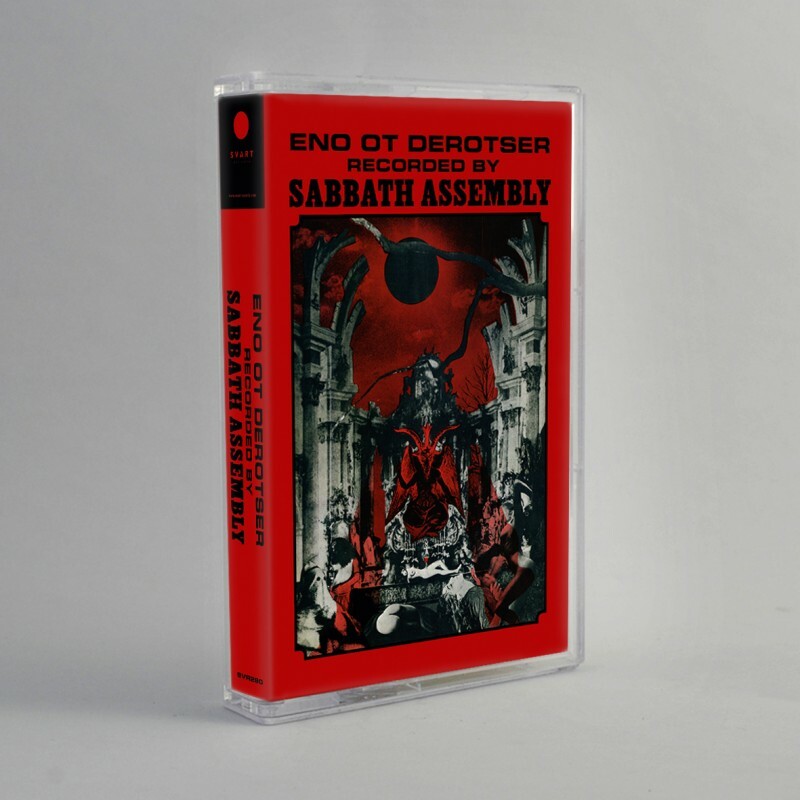 Limited to only 300 copies, this cassette features the original Sabbath Assembly recordings from 2009, with Jex Thoth on vocals. I can imagine this selling quite well and becoming hard to find in no time at all. With this in mind, I made a digital copy of mine the day I got it so my original will stay in pretty much mint condition. The songs are all Process Church hymns, later versions of which appeared on the band’s debut album Restored to One. Here, they are presented in a raw, experimental form, with sparse bongo percussion (by the band’s founder Dave Nuss, credited here as Xtian) as opposed to the full drum kit used on the bands full albums and live shows. The arrangements are a little different, too, showing some of the early psychedelic influences and ideas that were later molded into the form long time fans will know. 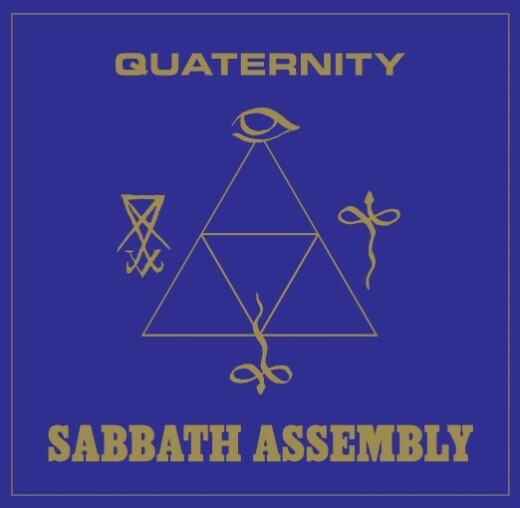 Quaternity is the third album from Sabbath Assembly, a bizarre rock band that formed to recreate the hymns of apocalyptic 1960’s religious cult The Process Church of The Final Judgement. Their first record (Restored to One) caught my attention because their original singer was Jex Thoth, which was enough of an endorsement to at least check them out, even if they did sing about God and seemed more than a bit ‘churchy’. Spend a little time with this band, though, and you will soon discover that there is nothing traditionally Christian about their music or philosophy.